As much as I like reviewing a movie solely based on creative freedom and liberties, I have to also say that I really enjoy reading the book that a movie is based on before seeing it. Reading after the fact is always great, but reading beforehand is practically an experience once the film rolls around. You notice all of these tiny, basically minute changes – but at the same time – this could create a bias and makes my reviewing ability a bit more difficult than it would have been. The Maze Runner is a movie I’ve been looking forward to for a little while, and after reading the book, I went ahead and checked out the film. Meet Thomas. Thomas has no memory of who he is or where he came from – but he was there all the same, in a terrifying place known only as The Glade. 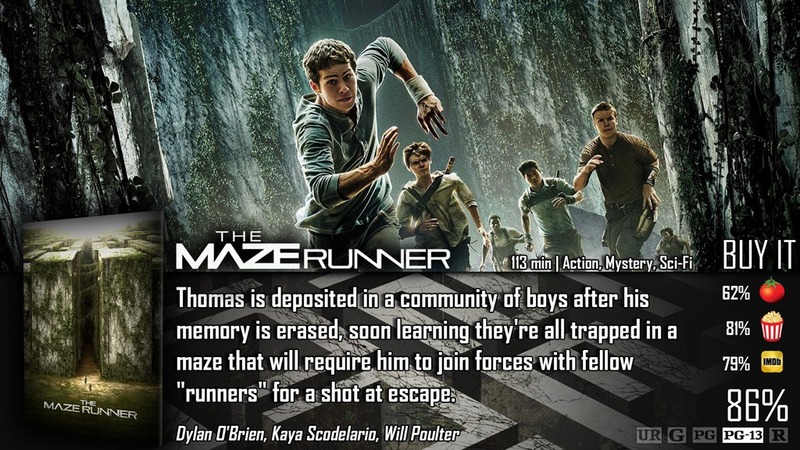 In the Glade were a group of self-dependent boys who are working together to try to find a way out of the Maze that surrounds their Glade. There’s something very different about Thomas, though – and that comes readily apparent when the first girl shows up in the Glade telling everyone that everything’s about to change – and she knows Thomas. It was very interesting watching this movie, and I don’t think I can possibly review the thing without mentioning the book, because there was a couple of huge changes – but those changes, in my opinion, are very welcome and helps make the movie more successful and gives it better pacing all around. First of all, the book is very fantasy-based, but this film feels like they really wanted to make everything more grounded and believable. The problem I have with that, is the fantasy realm increases ten-fold in the next book, and I really don’t know how they’d make that into a movie. Other than that, the other main difference is the slang. They still had some of it in the movie, but for the most part it wasn’t there. It was there enough to seem unique, but not flooded like in the book, thank god. The movie still had some faults when it came to pacing, but the way they did things was – they replaced longwinded scenes in the book with completely different scenes in the movie that more or less ends up in the same place. To me, that does two things: it doesn’t feel as cluttered as it could, and it makes things that much different for the reader to enjoy the story all over again. The thing is, the keep the tone alive in this film. It may have changed this or that, but they replaced it and the tone was more or less on par with the book. I have to say. I’m having a little difficulty reviewing the movie for those that haven’t read the book, because I already knew the concept beforehand. That being said, I still really enjoy the concept and think it holds a lot of really strong mystery, despite being reminiscent in some ways – to Lord of the Flies and The Hunger Games – it still had a lot of it’s own feel, which was really cool – and the movie definitely captured that aspect. The acting was really good, the visuals definitely did what they were supposed to…in a lot of ways, it was very good. At the same time, I could see different places where it could be confusing to others, so I’m interested in seeing how others saw it. If you are a fan of the book, for the most part this film stays true to the tone of the book. It also made respectful changes in order to fit into the movie medium. It may take a few minutes to get used to the changes, but you’ll notice soon enough that the tone is still intact. 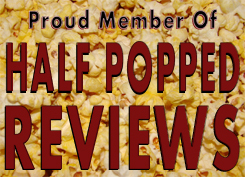 It may have some problems in the pacing department, like many young adult films have. Mainly speaking, because the book is so full of mysteries, you can only put so much in a movie – and that’s always risky.